HOMES, GARDENS & OUTDOOR LIVING: 22nd & 23rd May 2012. Starts at 11am until 8pm Come along and see some great attractions inc. the famous Charlie Dimmock in beautiful surroundings. Fantastic Flamenco Fiesta Friday 4th May 7pm. Back by popular demand, don´t miss this one. Authentic Spanish Flamenco Dancers, 4 spots, 4 changes of costume, 4 course meal, with drink, plus the show, all just 15€. 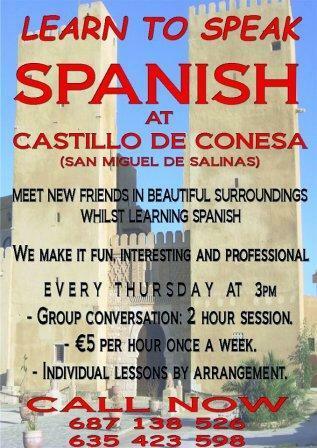 Spanish Class: Thursday 2:30 until 4:30pm. Beginners class following the book "Advance" Nivel" 5€ per hour, all welcome, meet friends. Special Occasions: Birthday? Anniversary? Let us take the strain and arrange your party for you, special deals available.. Need somewhere for your private & business meetings? No charge for venue. Children play in our large play area and see the wildlife. 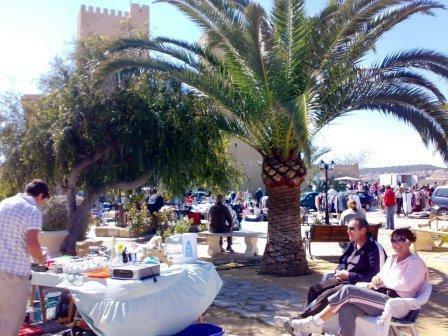 http://www.castillodeconesa.com/ Email: marjepspain23@hotmail.com Facebook: Castillodesa.